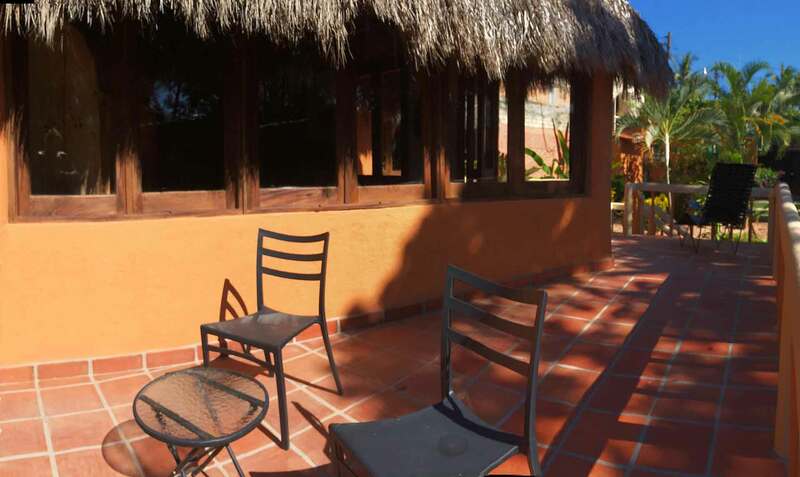 Casa Jardín is a two-story, two-bedroom bungalow nestled in a residential San Pancho neighborhood. 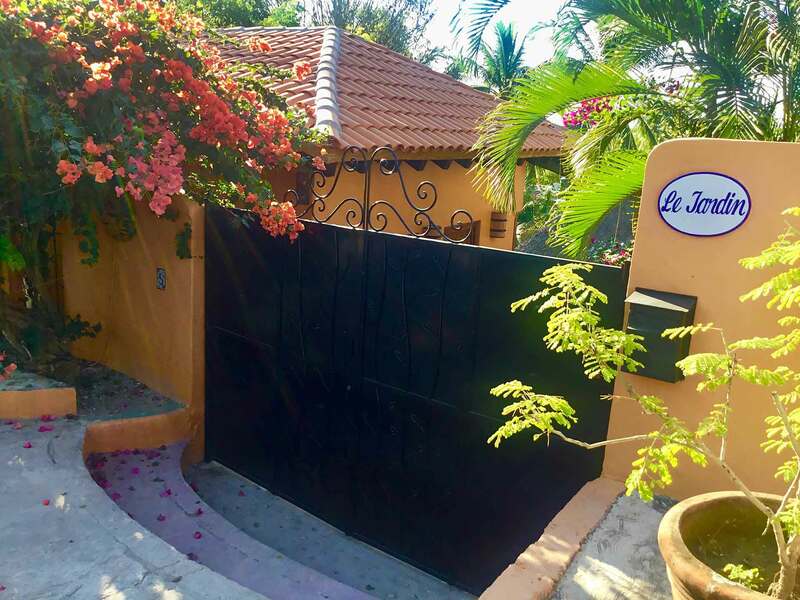 Set back from the street and tucked into the hillside, this property feels private while located in a central residential neighborhood in town. 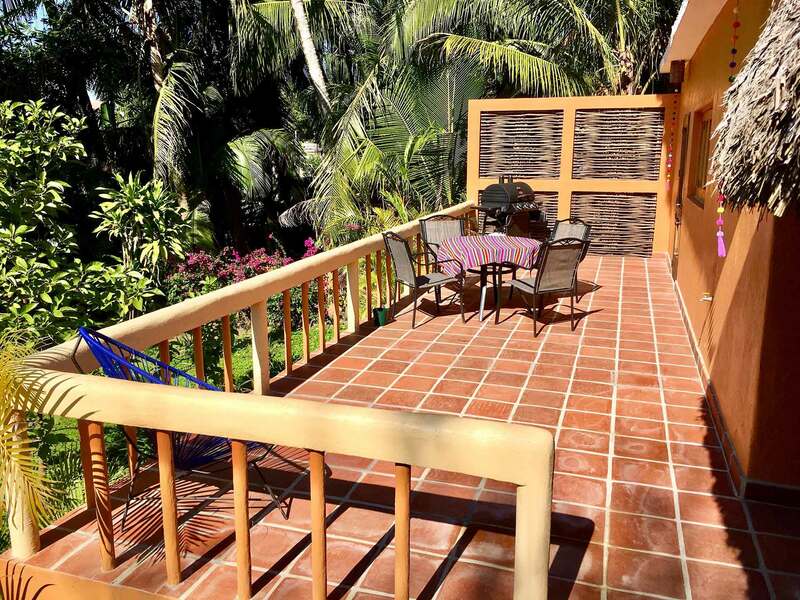 The large lot is surrounded by native flora and fauna. 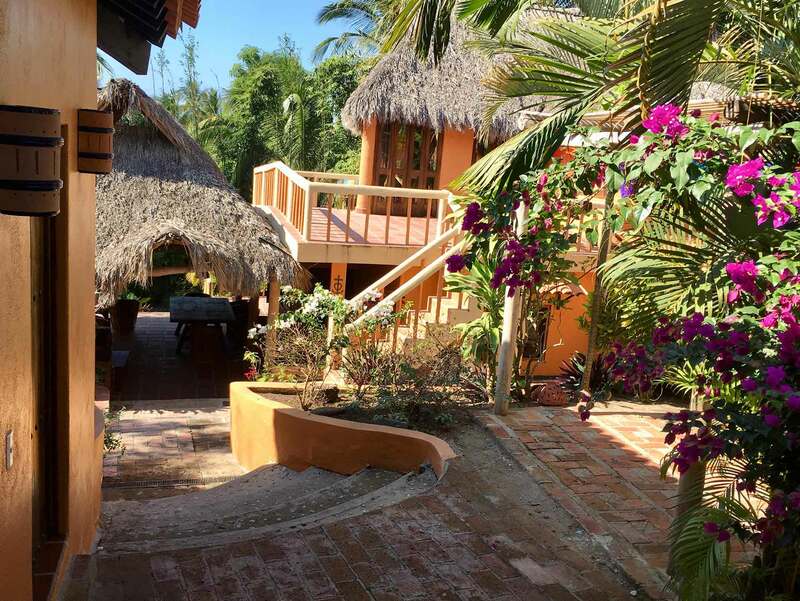 The spacious, palapa-covered, furnished patio and dipping pool area provide a charming setting to relax outdoors. 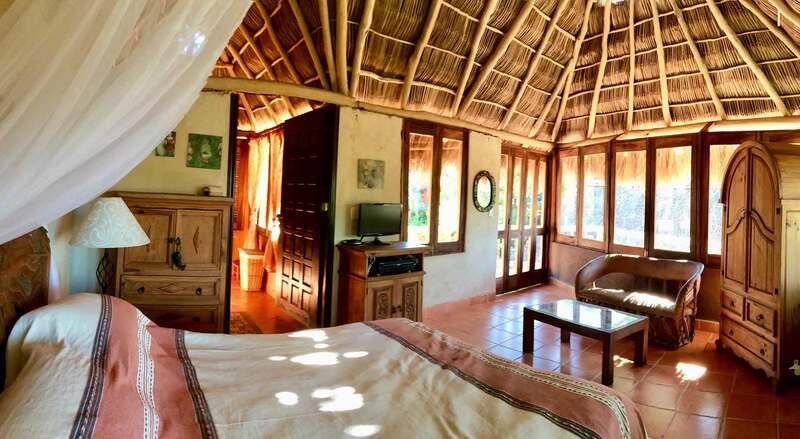 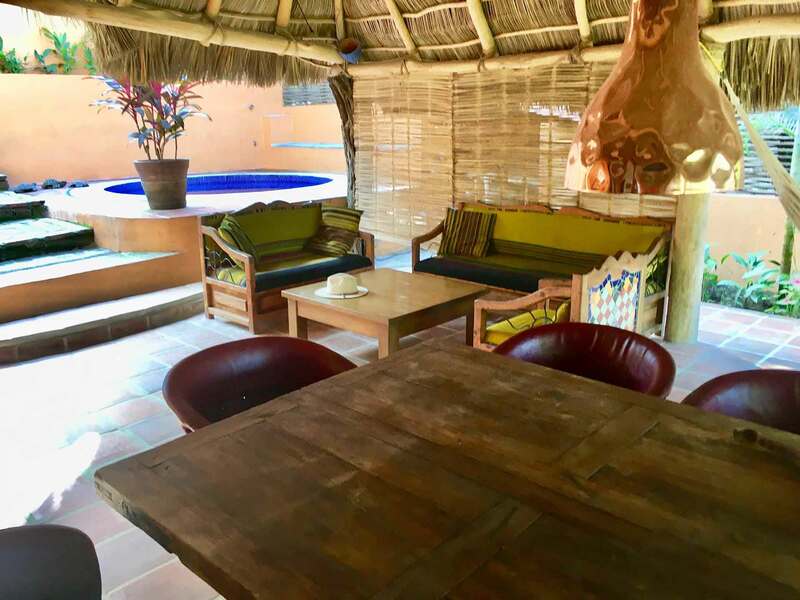 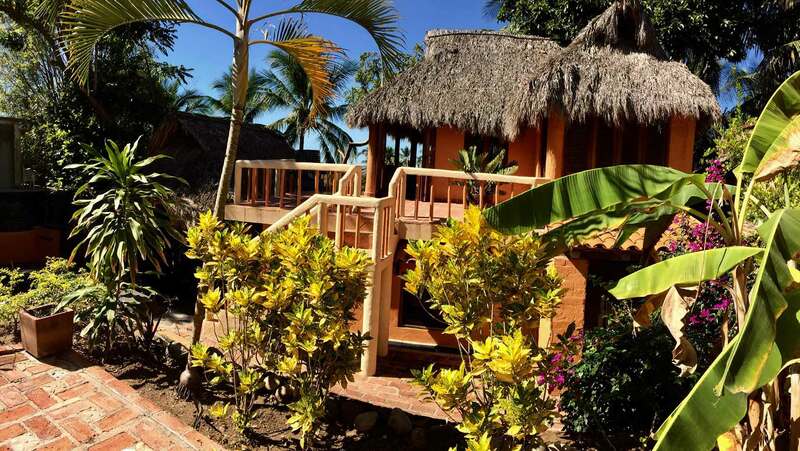 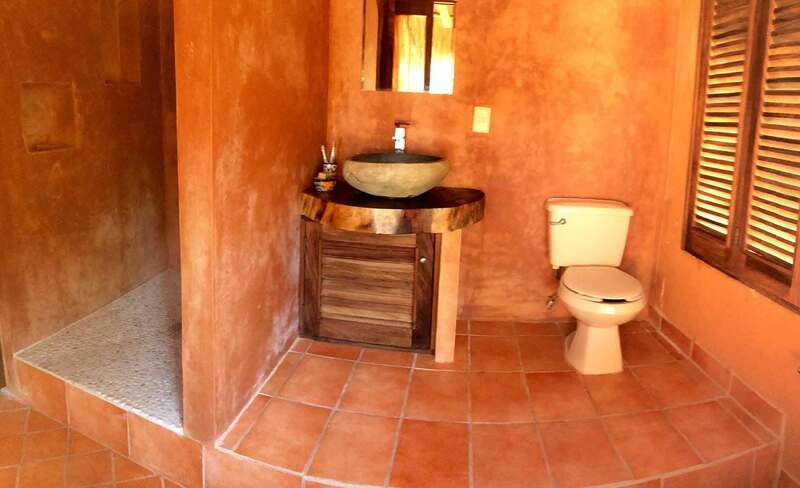 The interiors are simple and rustic with a palapa roof throughout. 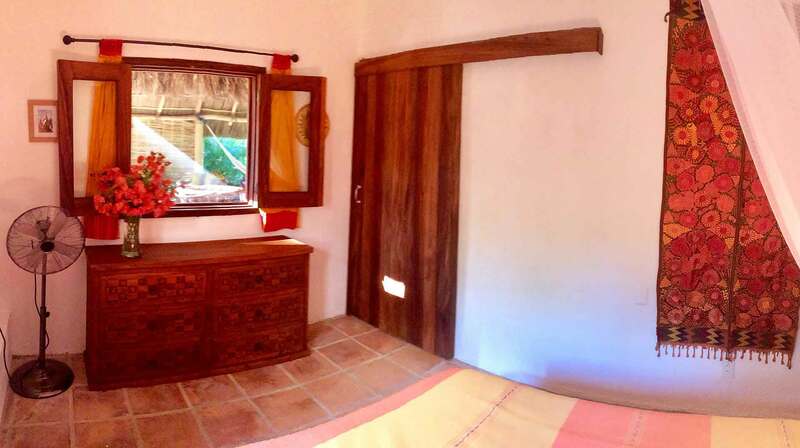 The bedrooms are private and on separate floors, each have their own entrances and bathrooms. 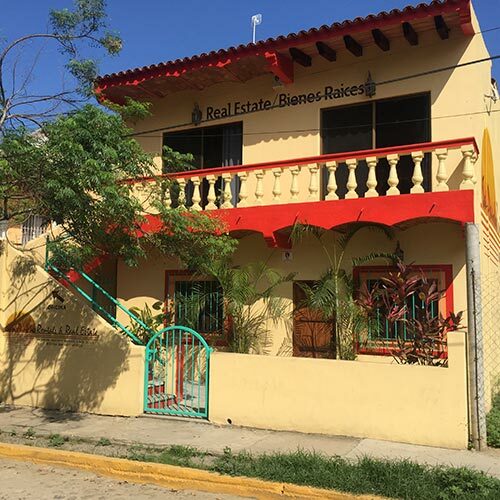  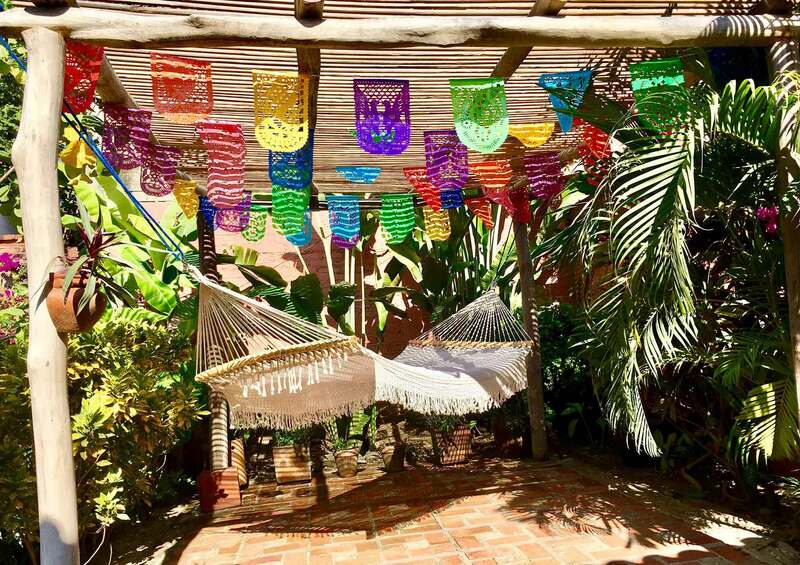 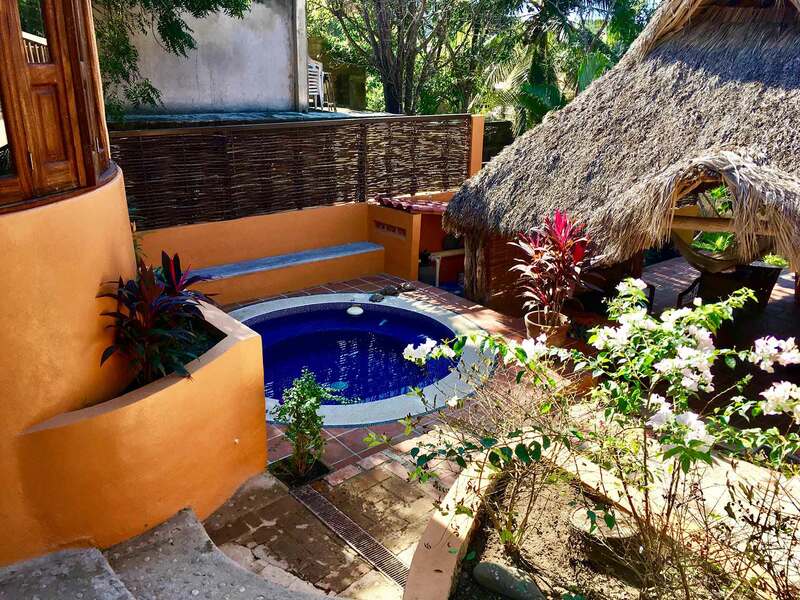 Within walking distance to everything downtown, Casa Jardín is just a block or two from local restaurants and shops, and a short 10 minute walk to the beach. 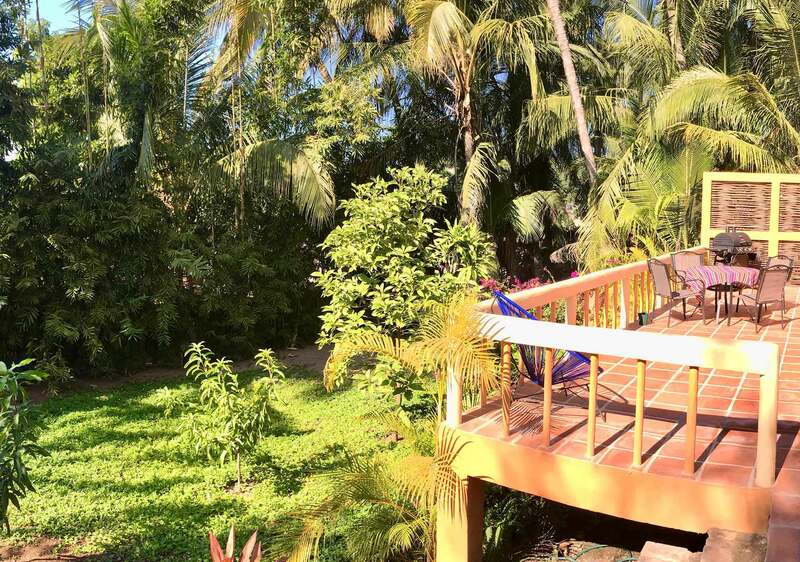 This is an ideal setting to experience San Pancho the way the locals live it. 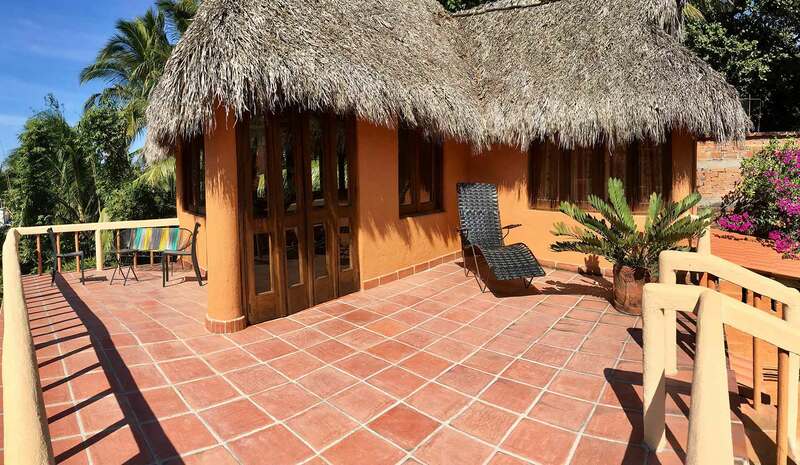 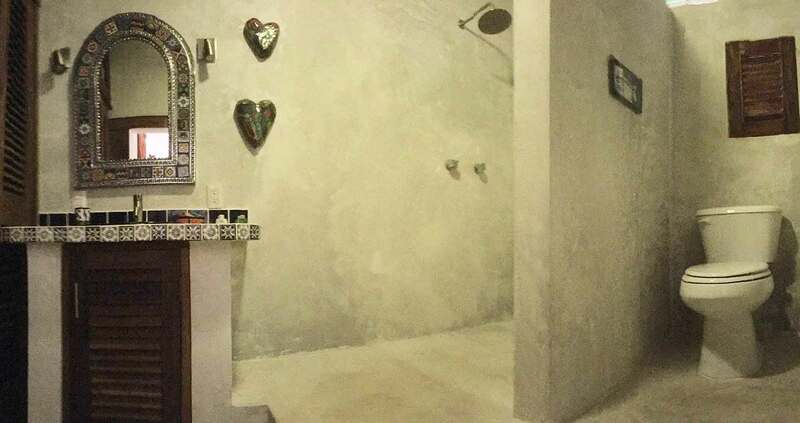 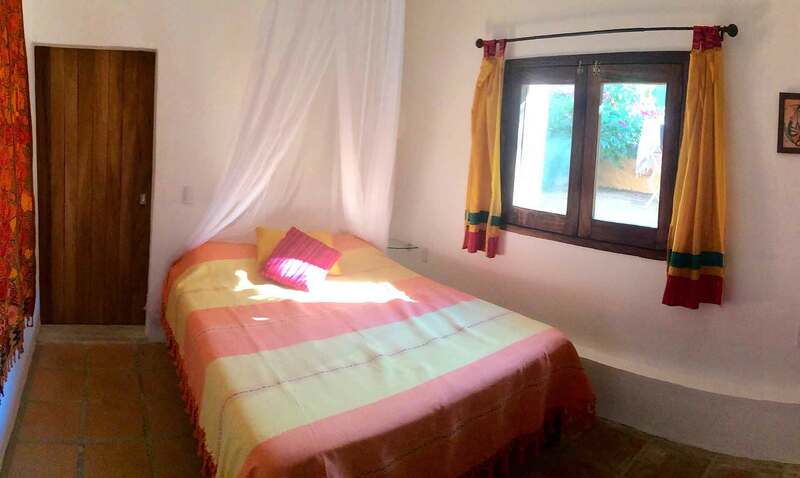 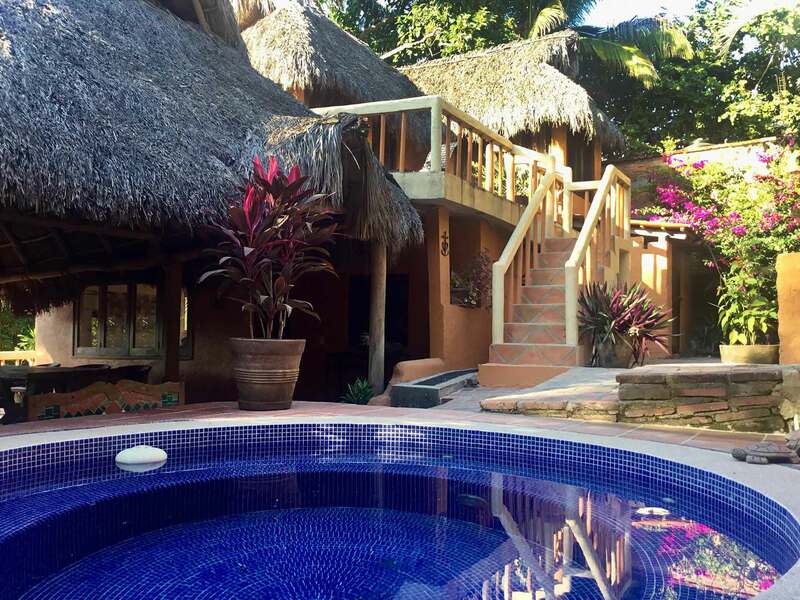 Casa le Jardín can also be rented as a three-bedroom property with the addition of the cabana. 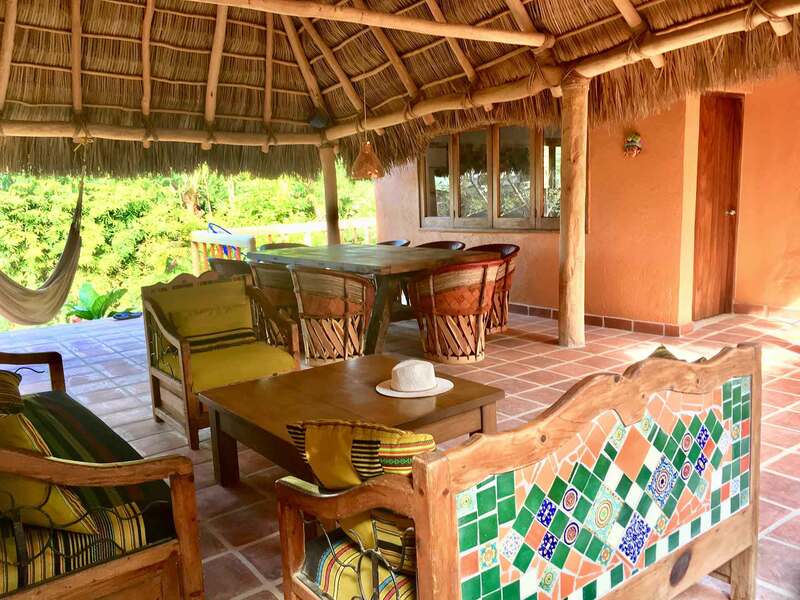 Please view Casa le Jardín & Casita for more information.